Abigael's parents are deceased. She and her sister Eunice were left with an elderly grandmother who was not able to feed or care for them. She took to the children's home so they would be fed and receive an education. 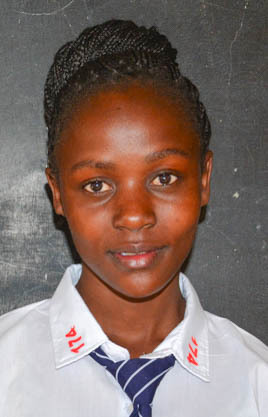 Abigael "Chiku" was very sick when she arrived but is now happy and an aspires to become a nurse.